Let’s talk transition and reinvention! This week, I transitioned from being a musician (63 years in total, 40-year career) to reinventing myself as Professor Cartwright, teaching Speech Communications at Southeastern College in West Palm Beach, FL to 10 students (3 were absent). The 7 in attendance had a ball (must be the entertainer in me)! The 4-hour class ended on a high note with each of the 7 stating what they learned from the first class. I asked them if they thought the 3 absentees missed anything and they replied, tumultuously, “They miss a LOT!” So, my first night class (6:30 – 10:30 p.m.) was a huge success! I am excited about my new career as a professor. I believe I have a lot to give students and that I can make their learning experience rich and worthwhile. Many night students have families and day jobs and are pretty worn by the time they come to class. My goal is to have them leave my class on an upbeat that will catapult them into the next day with new ideas and fresh insights. All in all, my first class was FABULOUS! Today, February 29, 2016, Professor Cartwright officially begins her journey as a college professor at Southeastern College in West Palm Beach, Florida, teaching Speech Communications or The Art of Public Speaking. 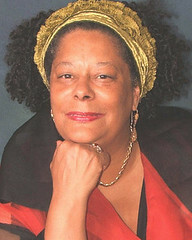 Having been a professional performer for over 40 years, Professor Cartwright has presented papers at several conferences on women’s music and the history of Jazz and Blues. She has toured in 19 countries as a vocalist and published 11 books. Once her doctoral dissertation Women in Jazz: Music Publishing and Marketing is completed and accepted by Northcentral University, Professor Cartwright plans to continue lecturing and teaching business courses at various institutions. Her expected date of graduation is January 2017. Until that time, she will teach at SEC during the months of March, July, and November.